Office 365 brings together all Microsoft’s productivity and communication tools in one hosted, online service, available as SaaS in two editions: for small business use and enterprise. Strategix explains why the cloud-based Office 365 suite is the preferred business option to the classic solution. Business owners and organisations will find the access to the entire Office 365 platform and its features a quick and easy process needing only one sign-on per user. Data can be accessed both online and offline. The access is per-user, per-month subscription basis, eliminating unnecessary costs related to licensing fees. Businesses do not have to pay for licences they might not use – a definite cost-saving factor for SMEs. With an affordable Business Premium plan, organisations have unrestricted access to Microsoft’s business tools for email, collaboration, communications (HD conferencing, audio/video calls, Skype for IM), productivity tools (Office) and cloud storage (OneDrive). Flexibility and agility are key in today’s fast-moving business environment. Immediate access to productive tools and collaboration across departments and regional centres is needed. The web version of Office gives organisations the possibility to access the same familiar applications (used for years on end) over the Internet, no matter the location or the device used – thus no restrictions. With Office 365, companies and their users get all the features and functionality of the very latest versions of Microsoft’s products. The suite provides monthly security updates and feature releases to ensure up-to-date functionality, security and compliance. 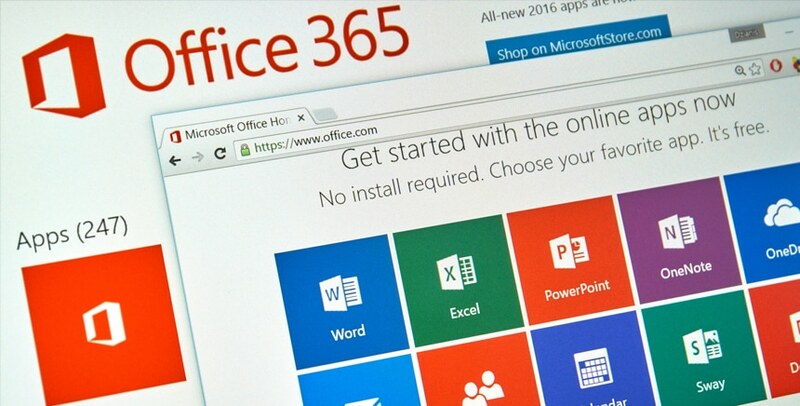 Office 365’s flexibility extends to the operating system used by businesses. The online version is compatible with most desktop systems, browsers and operating systems. Companies that haven’t or can’t afford to purchase or upgrade to the latest OS to use Microsoft’s latest applications will find the immediate access to Office 365 useful. The suite is supported by Windows OS (XP to 7) and MAC using OS X 10.5 (Leopard) or 10.6 (Snow Leopard), and any browser – IE 7, Google Chrome 3, Mozilla Firefox 3 or Apple Safari 3 (and later versions). Cloud security, redundancy and reliability are main concerns for most companies. Office 365 relies on Microsoft’s extensive data centre and secure network architecture with a 99.9% financially-backed uptime guarantee. Office 365 applications are accessed through 128-bit SSL/TSL encryption, adding to the antivirus capabilities and security measures in the cloud environment. The SaaS version of Microsoft’s popular business tools leverages the power of the cloud architecture to deliver scalable storage for mailbox use and data sharing. The Business Premium edition of Office 365 offers email hosting with 50 GB mailbox and 1 TB file storage and sharing in the cloud.